Vernon Griffith is an adventurer, father, husband and enjoyer of life. 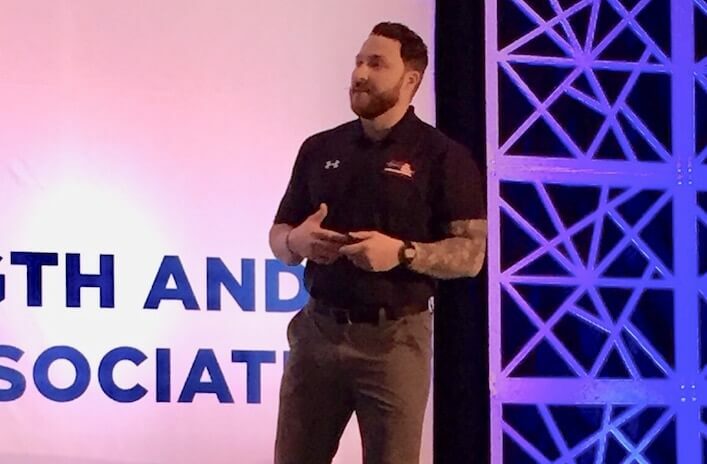 He is also the co-owner and head strength and conditioning coach for Virginia High Performance, a privately owned performance facility located in Virginia Beach. Vernon oversees the high performance programming and recovery for the youth athletes, college athletes and the military veterans that come through the Charlie Mike Program. Being an advocate for high performance training for youth athletics in Hampton Roads, Vernon has assisted over fifty athletes in receiving athletic scholarships to the BIG 10, ACC, SEC, and BIG 12 among others. In this show, Vernon and I talk about his unique journey and path into the world of physical preparation, how he develops a positive and confident mindset with his athletes, and the strategies he uses to improve communication and build rapport. Vernon is a well-spoken, fun, and engaging guy, and I know you’re going to love this show. A really fun lightning round where we talk about his career highlight as a coach, the most impactful book he’s read in the past year, and more!